How do we reverse habitually tight muscles which cause pain and limited range of movement without stretching? It appears to be heavily promoted as the answer to creating a better result for our musculoskeletal health? But is it? Consider these two experts in the field of Musculoskeletal health. “The old presumption that holding a stretch for 20 to 30 seconds — known as static stretching — primes muscles for a workout is dead wrong. It actually weakens them. In a recent study conducted at the University of Nevada, Las Vegas, athletes generated less force from their leg muscles after static stretching than they did after not stretching at all. Other studies have found that stretching decreases muscle strength by as much as 30 percent. Also, stretching one leg’s muscles can reduce strength in the other leg as well, probably because the central nervous system rebels against the movements. Duane Knudson, Professor of Kinesiology, California state University, Chico. (http://www.nytimes.com/2008/11/02/sports/playmagazine/112pewarm.html). So how can we release muscle tension without stretching? In my last blog I discussed Sensory Motor Amnesia (SMA). Simply put, SMA occurs due to habitual behaviours such as sitting for hours over a keyboard at work or carrying a child on one hip. The brain (which controls all muscle coordination and contraction) has gone into “autopilot” and kept these dominant muscles in a fixed contracted state. 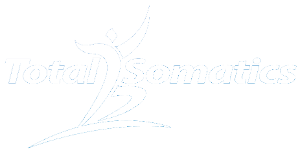 Somatic Education helps you to consciously regain control of your muscles so they will contract and relax when they are required. Thomas Hanna (PhD) the creator of the modality Somatics, coined the term PANDICULATION. A qualified Somatics Educator or Clinical Somatics Practitioner in the field of Thomas Hanna will teach you how to pandiculate your muscles to release long held muscle tension. Developing muscle tension leads to pain, poor posture, joint issues, gastrointestinal complaints, anxiety and poor mobility. What is involved with pandiculation? A Somatics educator or practitioner trained in the field of Thomas Hanna will teach clients to re set their muscle length and improve motor function by pandiculating; which is active lengthening from a contraction of certain muscle groups. Pandiculation stimulates the brain to release chronically tight muscles. This allows the brain to take back conscious or voluntary control on what had previous been involuntarily tight muscles. A contraction - This is slightly stronger than the existing tight contraction. This sends sensory information to the brain, so that it feels the muscles again. After all the brain has developed a level of amnesia and forgotten how to consciously control muscular movement patterns from this area. So the contraction has to be strong enough for the brain to sense it. A slow release - This part of the sequence requires a great deal of mindfulness. The slower the release, the greater impact this has on the brain. The release is where your brain notices the details of the movement and that the muscle can consciously or voluntarily relax. Complete relaxation - This phase is when all the information floods the brain and allows for integration of both sensation and any changes. Somatics involves “cortical learning” to change the old habitual behaviours we have developed from our subconscious actions. When we pandiculate, we are firing regions of the cortex, the seat of learning to create improved movement patterns. This changes the way muscle groups work. They become more efficient and effective in their behaviour by switching on and off at the appropriate time. 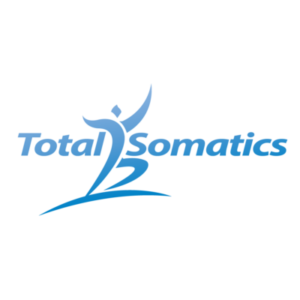 Learn Somatic education in the comfort of your own home with the Total Somatics Online program. November 14, 2018 By Heidi Hadley Blog anxiety, beliefs, bioplasticity, dis-empowering beliefs, emotion, fixed, knot, mindfulness, mindset, movement, neuroplasticity, pandiculation Comments Off on Muscle Pain, Tension & Tightness – What can we do to Remedy the Issue?